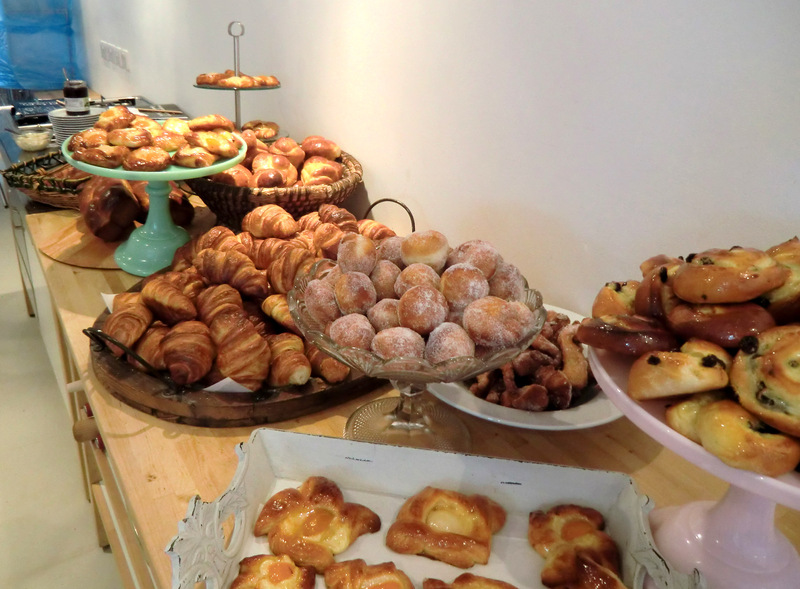 I treated myself last week to a trip down to Bath to spend two days at the Bertinet Kitchen. So easy to get to from Edinburgh, and just 1 1/2 hours from Cardiff and London, Bath proved delightful and the courses fabulous. Located just down from the Assembly Rooms, you are welcomed by one of the smiling staff to go downstairs and tuck into a little bit of breakfast of toast and jam (the second for some) and coffee or tea. Richard Bertinet hails from Brittany, and has won a myriad of awards including BBC Food Champion of the Year 2010 and winner of the Soil Association Organic Food Awards Best Product for his sour dough bread. His passion for bread is infectious! My ensuring impression is one of superb organisation, passion and patience (especially when I singularly failed to grasp how to knead the dough properly using Richard’s method). 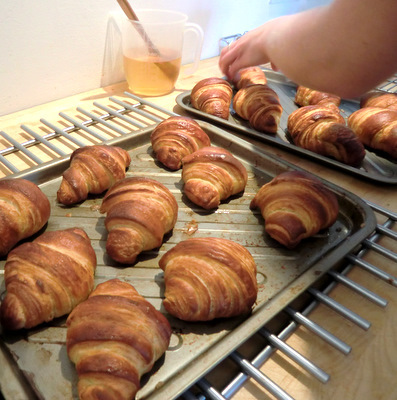 Lots of preparation done in advance so that we could make croissants in a day and having the washing up done for us! On reflection, it would have been better to have done Richard’s bread course before tackling croissants and viennoiserie, but by the end I had just about mastered the kneading new technique (used for the sweet dough rather than the croissants) and had made some beautiful and tasty items: brioche, croissants, pain au raisin, doughnuts, pain au chocolat …. You work hard, and intensely and definitely feel a real sense of achievement. I now understand so much more about how to make the perfect croissant from choosing the right butter ensuring you add steam into the proving process. On the second day I took the classic patisseries course with Ghalid Assyb, founder chef of Ottolenghi (the desserts featured in the first Ottolenghi book are his) taught us how to make some superb French patisseries learning new techniques to make sponges and creams to create glorious desserts including Charlotte aux framboises, millefeuille and opera. We ate a late lunch French style with wine on both days, a fitting end to the courses which I cannot recommend highly enough. There was just enough time to purchase a few items in the shop before starting the journey home. 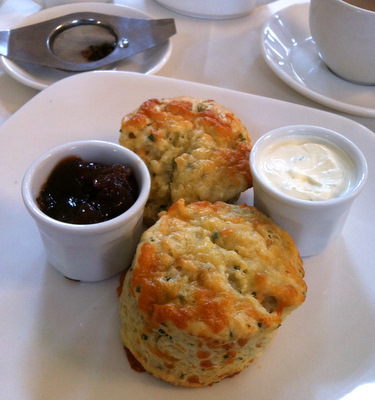 bertinetkitchen: @EdinburghFoody nice post on your blog!! Thank you. Richard’s books Dough and Crust Buy Dough first to help master the techniques. Silicone baking mat – non stick every time! I flew Easyjet to Bristol airport then got the shuttle bus to Temple Meads station then a quick 12 minute train to Bath (main line to London). Visit the Tourist Information office to find out about the free walking tours and City Discount cards. 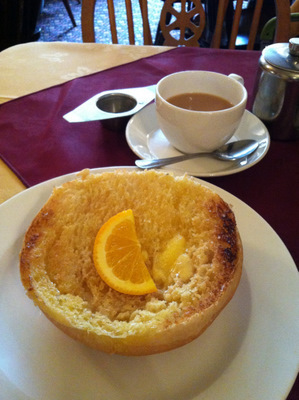 Do not miss a visit to the Sally Lunn* tea shop – I can heartily recommend the toasted Sally Lunn with ginger butter and the beautiful Pump Rooms at the Roman Baths where you can eat a Bath Bun – I thoroughly enjoyed the savoury scones instead. 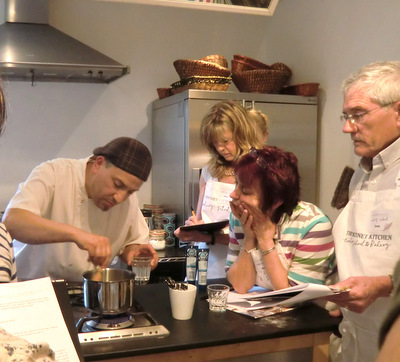 There are several excellent kitchen shops to visit too! 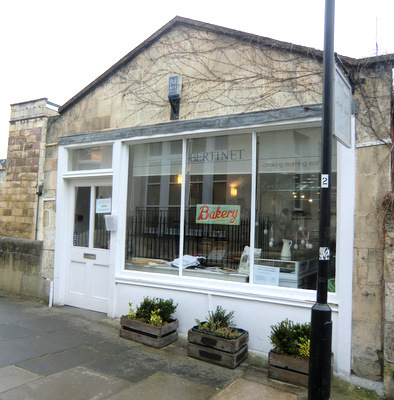 Sally Lunn (Solange Luon) came to Bath in 1680 a refugee from France and introduced the brioche-like buns to the baker she found work with. The recipe was rediscovered in the 1930s a secret cupboard in the tea shop.